Always warm your muscles first and then follow with a series of stretching exercises. You can warm up your muscles by taking a hot bath or shower or slmply by massaging the muscle. A cold muscle may tear when stretched, whereas a warm muscle is more elastic less likely to be damaged. Unless indicated, hold each stretch for 20 seconds and repeat five times. Always stretch in the clothes that you attend to for exercise. This will ensure that you do not restrict your movement or reduce your circulation. 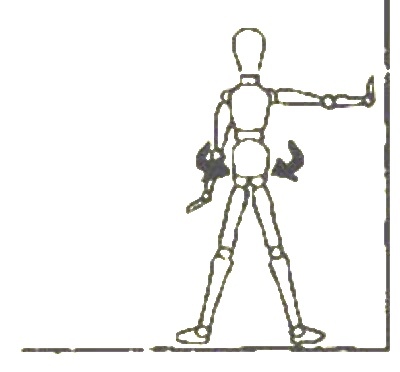 The exercises shown here are recommended by the British School of Osteopathy and are only intended as a guide. For further information about the suitability of these exercises for you please call for an appointment with one of our osteopaths. Stand with your feet apart. Put hands against the wall. Lean forward and down. Stand with your feet apart at 90° to the wall. Put one hand against the wall. Rotate trunk left and right. 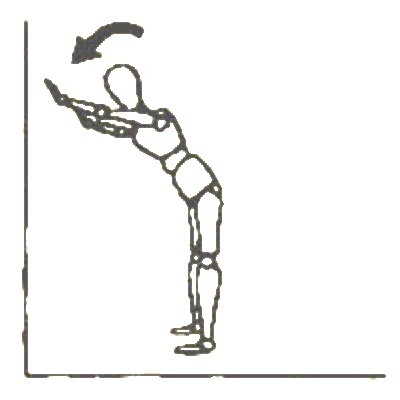 Adjust position of arm up and down. Repeat with other arm. Stand with your feet apart at 90°. Lean on chair back. 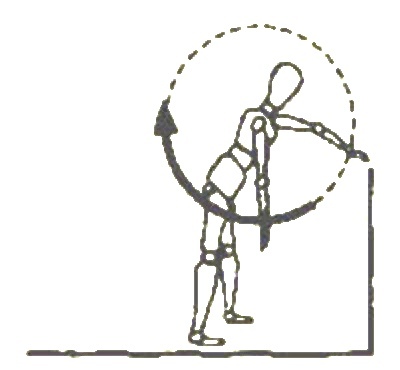 Rotate arm in both directions. Repeat with other arm. Sit on chair with one leg supported out straight. Bend forward to point of tension. Gently rock two inches each way. 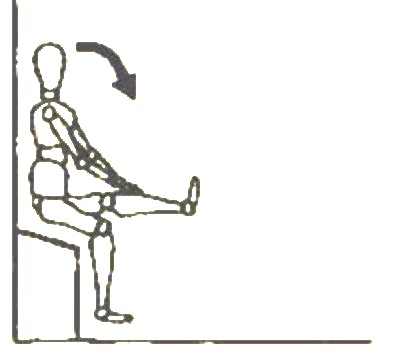 Repeat 30 times with each leg. Stand with one foot in front of the other. Put hands against the wall. 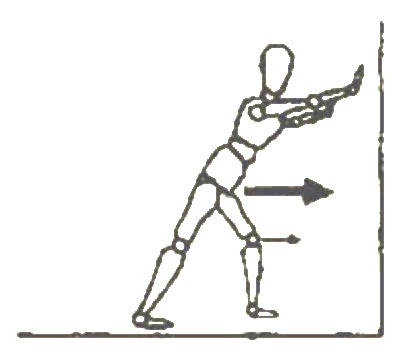 Lean forwards bending arms and front leg only. Repeat with other leg. Lie on back with knees bent and both feet flat on the ground. Gently rock knees from side to side within a comfortable range of movement.